Okay, firstly I am pissed off with WordPress because I wrote this post out and it just didn’t save. Don’t worry WordPress, not like I have better things to do with my time than re-write posts because your a dickhead anyway. 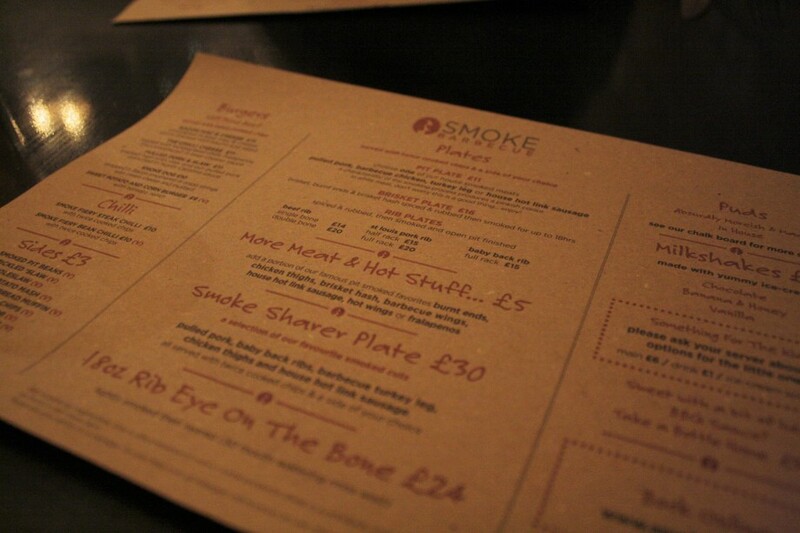 I was invited down to Smoke Barbecue on Friday as part of CitiPark’s Cupid Park and Guide campaign, which highlights some of Leeds best eats to go to this Valentine’s (and where to park, obviously!). I’d never actually heard of Smoke before this; it’s at the back of Merrion Centre, and as I work right at the other end of town I don’t venture up there often. It’s one of quite a food barbecue/ burger type of restaurants in Leeds; the whole Leeds food scene is actually unreal, with so many indie places to choose from, but it can be easy to get stuck on the same places so I was excited to try somewhere new. The inside of Smoke Barbecue is very warm, welcoming and rustic – the lighting was dim and incredibly bad for food photography though! The staff were all super nice, although I never know if it’s mystery shopper syndrome where I’m being treated extra nicely because I’m a blogger. Who knows. While we were choosing our food, Zoe and I ordered the O’Hara’s Iced Tea; Smoke’s take on the long island classic, made with O’Hara spiced rum and lemon juice. It was divine, and clearly super strong because it went straight to my head. 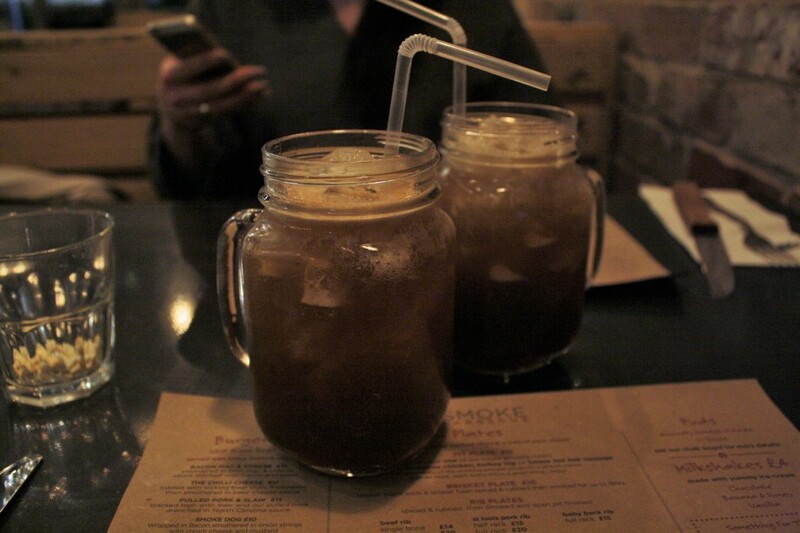 It was also served in jam jars, as all Instagram-worthy drinks are. 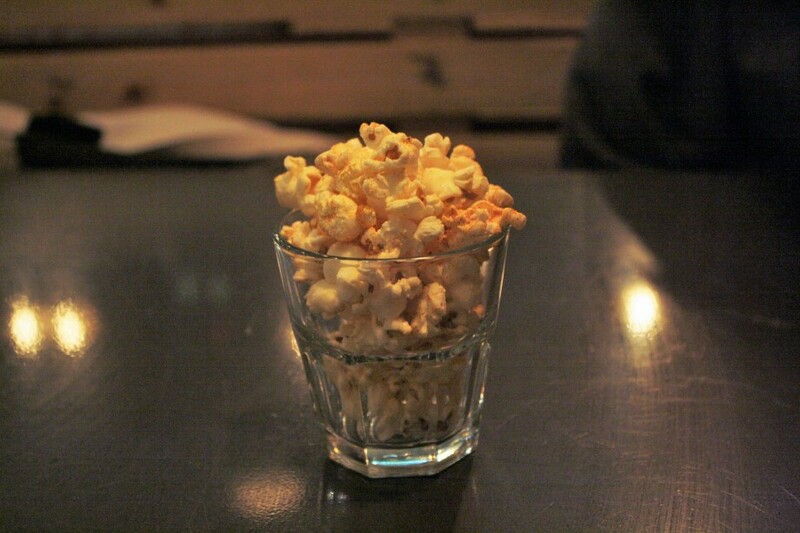 There was a savoury popcorn on the table, which was meaty and barbecue-y and really nice! I ended up choosing the brisket and burnt ends combo, with buttered greens, and Zoe got pulled pork with mac and cheese. What neither of us realised (thanks to that damn iced tea) was that the dishes came with chips as well. Oops! I’ve given up carbs for lent (I’ll fill you in on this later) so I didn’t eat the chips, but Zoe was pretty much dying over them. We did half and half on the meats; the brisket was amazing, I’ve never had it before and honestly it was so succulent and smoky and delicious! The pulled pork was nice, but I feel it could have done with a stronger sauce or rub as the barbecue flavour was slightly lost in the meat. The real star of the show was the burnt ends; crispy but moist, and the rub used was phenomenal! To finish off the meal, we had a Kentucky coffee; espresso, honey, krupnik and bourbon topped with cream for a really delicious sweet strong alcoholic drink. I would 100% live off these over winter if I’d known about them, so much nicer than Bailey’s coffee and just a really nice way to end a meal. Smoke do do desserts, they have a board with the options each day. Overall, thumbs up from me! 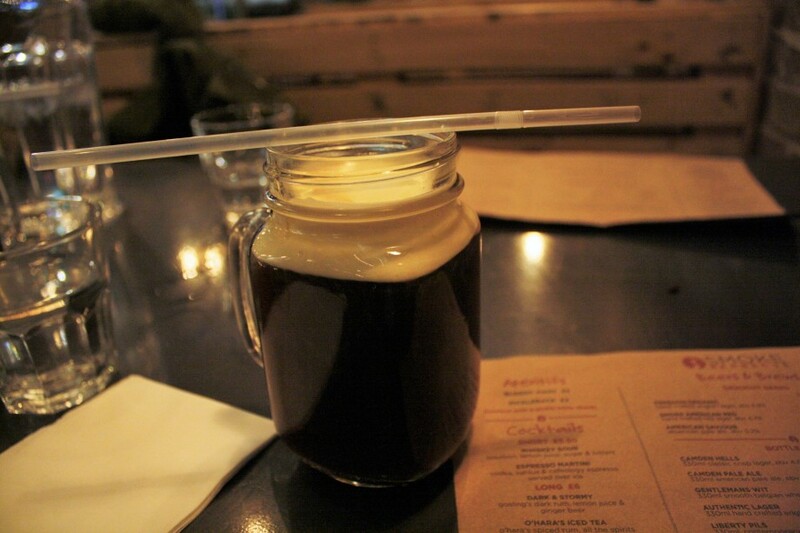 The food is really nice, the drinks are equally as nice, and it’s pretty well priced – the cocktails are cheaper than you get in most bars in Leeds so its perfect for after work drinks and food!